joanie and i both love sneakers. 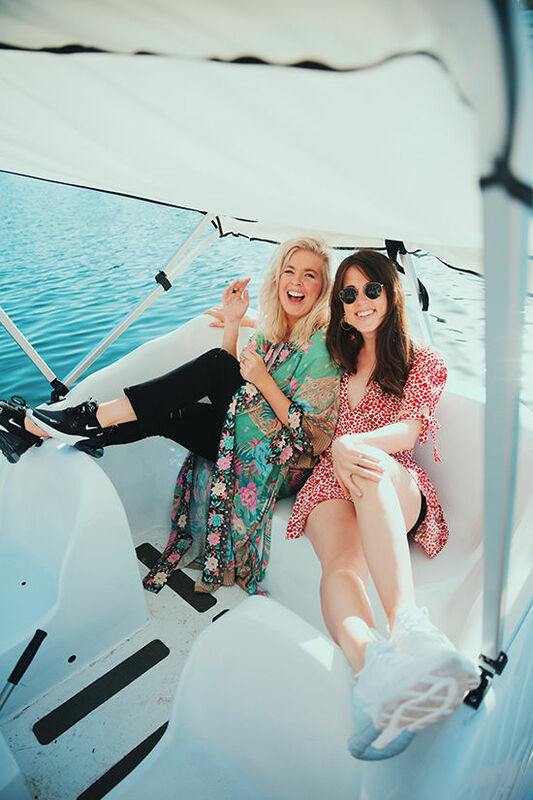 we’re always wearing them for shoots and especially when traveling. when Nike asked us if we wanted to partner with them to style a few summer looks with their Air Max 270 , we were definitely on board, they come in so many fun colors and i’ve been seeing people wearing them around town and always think they’re so cute. i love Nike as a brand, and they have really bridged the gap between stylish and comfortable (my favorite lightweight workout shoe is this one). 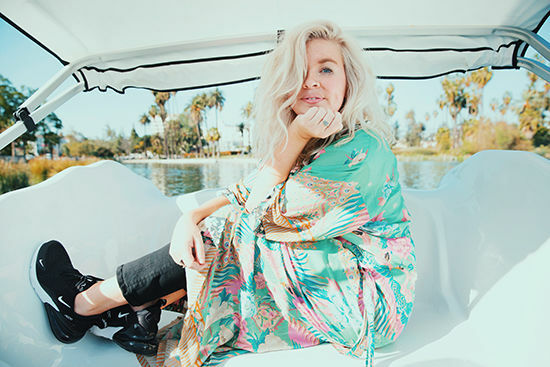 with festival season right around the corner, here are a two looks that are perfect for summer! 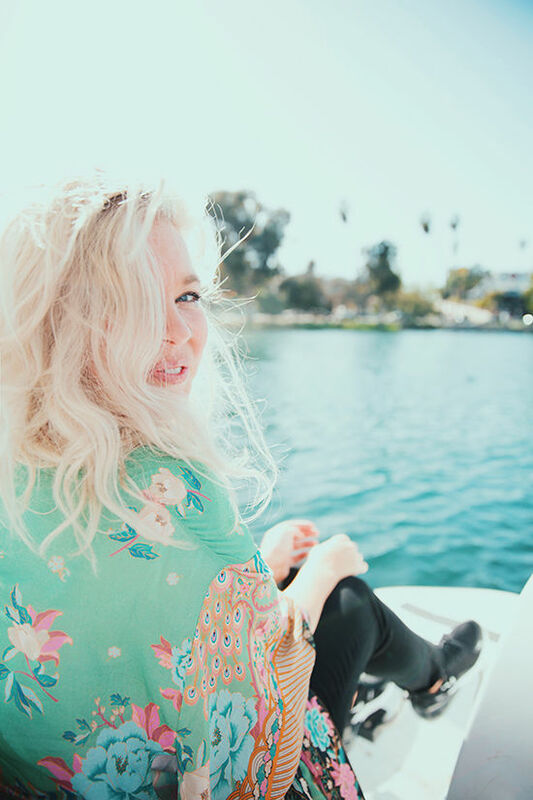 my style is hard to pin down but it really is inspired by a california lifestyle; laid back with splashes of color and a mix of structured and unstructured. 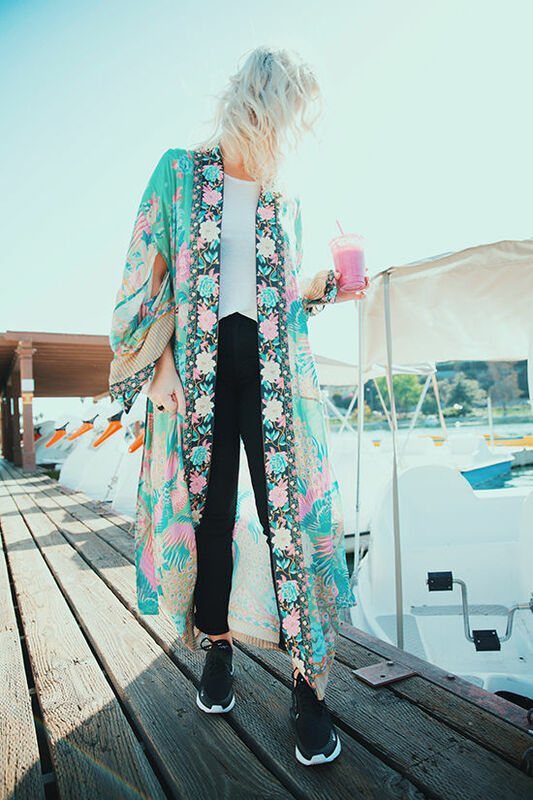 i’ve been loving kimonos lately because they can be worn so many ways, over a swimsuit, around the house, with jeans or over a slim dress. 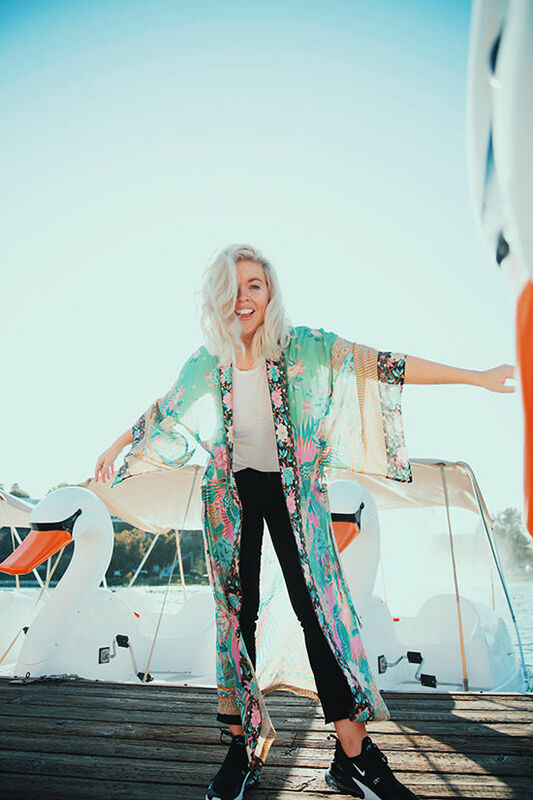 for this look, i paired the black Air Max 270 with a simple white t-shirt from reformation, cropped jeans from Mother, and a colorful kimono from free people. it’s an outfit that can be worn all day with ease. 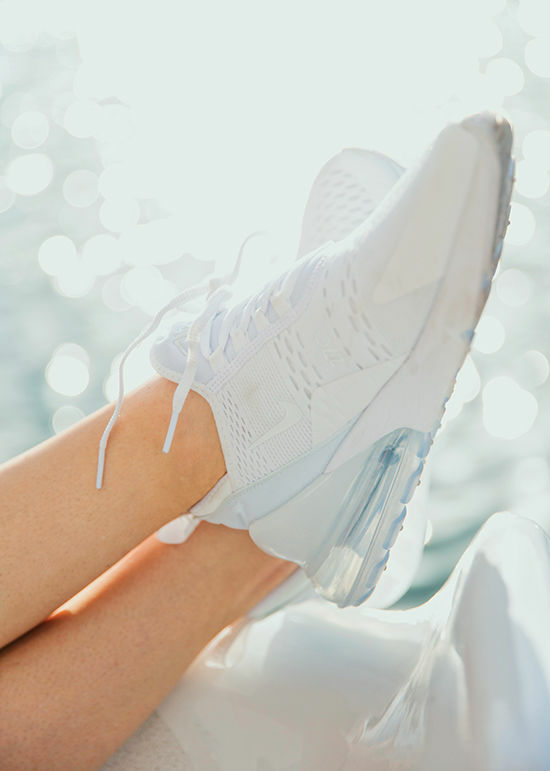 joanie: i generally gravitate towards lighter colors, so i picked the white version of the Air Max 270. sneakers can be hard to pair with dresses but these actually work really well because they have so much lift in the heel that they give the illusion of a longer leg. i live in dresses in the summer, they’re an instant outfit and can be dressed up or down. i love throwing on a denim jacket or an oversized sweater to keep it functional for cooler evenings. also, for shorter dresses, i almost always wear bike shorts underneath, love these ones. 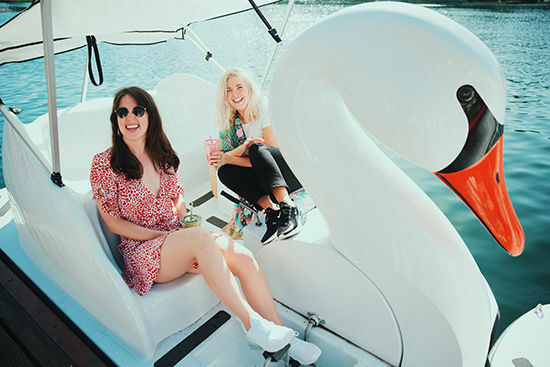 and you have got to check out the swan boats at the echo park lake. such a relaxing activity when the sun’s out! and here are more fun summer/festival pieces from Nike!